The Nitzanei Shalom settlement industrial zone was built on the land of the West Bank town of Tulkarem in the early eighties. The land was confiscated by order of the Israeli military. The name means the ‘buds of peace’. Presently the zone houses eight factories owned by Israelis but worked in by Palestinians. The zone has been accused of causing a deterioration in health for the nearby residents of Tulkarem, unsafe working conditions and underpaying workers. Q. What affect does the industrial zone have on the people of Tulkarem? A. (Ahmad) The factories were established on farmland stolen from people from Tulkarem. 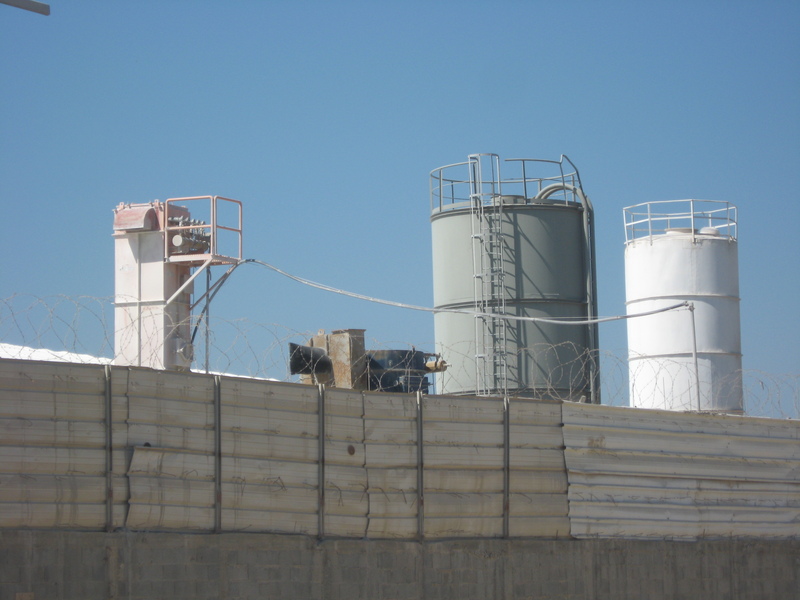 The factories are dangerous in that they pollute the environment in Tulkarem. They are also unsafe for the workers, they do not adhere to any health and safety regulations as they are based in occupied territory and there is nothing to protect workers. Accidents are common. (Rashid) The Solor factory is very unsafe. Three workers have died – in 2000, 2002 and 2008 from burns sustained from gas related fires at the factoy. Q. How much are workers paid? (Ahmad) In Yamit workers used to receive a similarly low wage but two years ago we went on strike. the strike lasted for two months and eventually, when the boss felt that he could no longer breathe, he agree to our demands and now we receive 200 shekels a day as well as proper contracts. (Rashid) In Solor the workers tried to organise but were not strong enough. I was fired for organising and for speaking to the media about the conditions in the factory. In total ten people were sacked for organising. There is still a case going through the courts about their pay. The people who were sacked did not receive any papers or any notification of why they were being fired. They were just told not to come back the next day. Q. Did the Histradrut do anything to support the workers. A. (Rashid) People from the Histradrut came to see the conditions in the factories but they did not do anything. Q. Can trade unions access workers in the industrial zone? A. Since 2008 Palestinian trade unionists have not been able to get a permit to enter the industrial zone. The Histradrut (the Israeli trade union) does not represent us. Q. 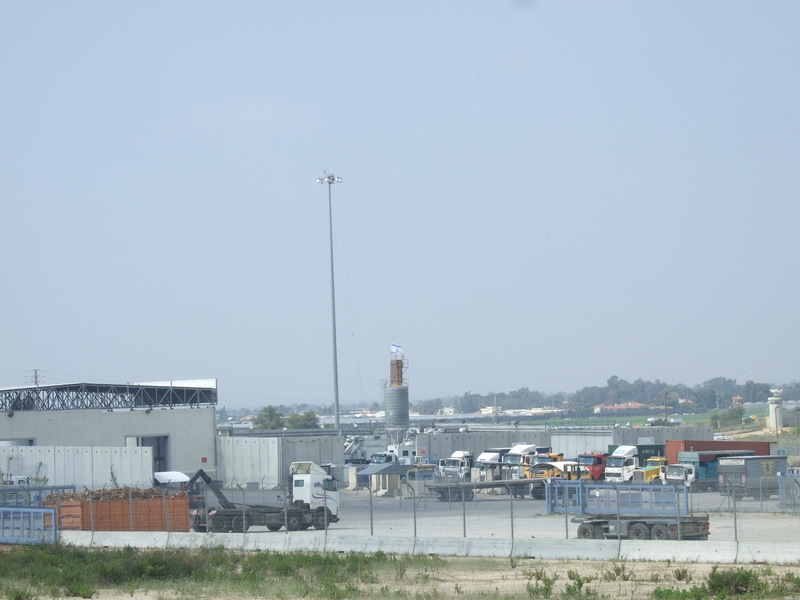 Do companies in the industrial zone export their products outside Israel? A. (Rashid) Solor has an office in Jordan and exports to India and Abu Dhabi. When products are being exported the workers are not allowed to see what is written on the export labels. (Ahmad) Yamit exports products to Egypt and France. When products are exported to France they have “Netafim” written on them. Q. What do you think of the international boycott of Israel? (Ahmad) Whatever you can do to close these factories and boycott Israel will be good. Any money spent on Israeli products is like bullets to our hearts. (Rashid) the most important thing is for the workers in the industrial zones to be united and fight for their rights. Q. If these factories closed wouldn’t you lose your jobs? A. If it wasn’t for the occupation we would not need to work in factories like these. Q. Do you think there should be an international boycott of the Histradrut? A. (Hashem) Yes there should definitely be a boycott of the Histradrut. This is very important. 1% of all wages we receive while working in the industrial zone is given to the Histradrut but we receive nothing from them. We receive no health insurance or representation. It is important for the trade union movement to boycott Histradrut. *All names in this article have been changed .